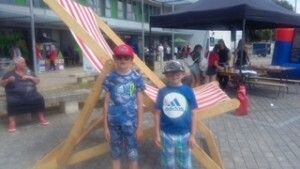 This year’s Futures Community Fun Day took place on Sunday 8th July 2018. 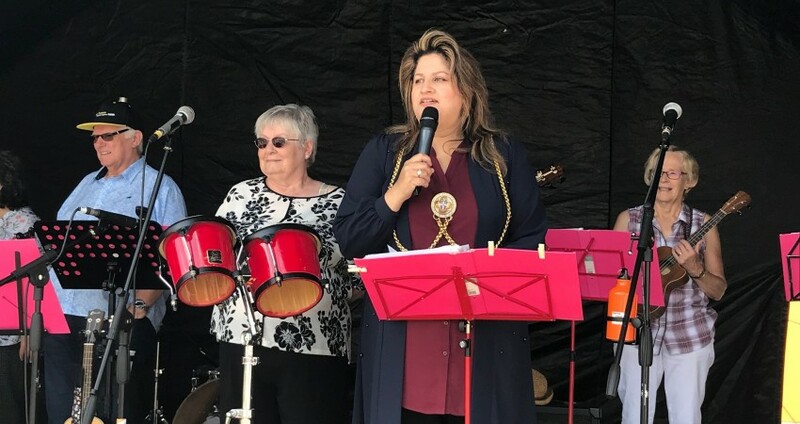 The event organised by Marsh Farm Futures, was opened by the Mayor of Luton, Naseem Ayub and MFF Chair, Cllr Anna Pedersen. 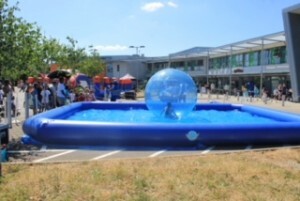 Over 1000 people attending the fun event throughout the day and the ever popular water zorbs proved to be a huge success to cool everyone down in the heat. 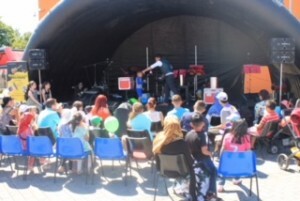 This year‘s activities included live music from actor and singer, Tony Bignell, various fete games and a magic show. 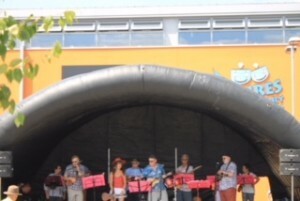 There were also some gospel singers from Marsh Farm Lighthouse church and Ukie Toones Ukulele band ensuring that there was something fun for all ages. Staff from Marsh Farm Futures, Futures Fun Factory, Futures Community Voice and Power to Change were all on hand to discuss the various community initiatives happening. Signposts once again provided their fantastic volunteers who helped with the setting up and clearing away on the day, car parking and whatever else was needed. 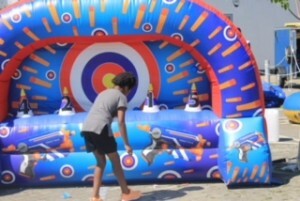 Entry prices to Futures Fun Factory were considerably reduced during the Fun Day and visitors enjoyed taking part in the Fun Factory lucky dip. 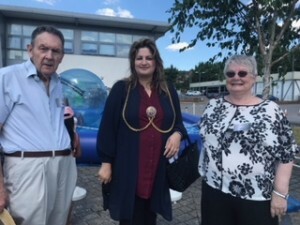 Organiser, Cathy McShane, Youth and Community Manager for Marsh Farm Futures said: “Having all ages come together for this community event is fantastic. Like last year, we made every ride and attraction free so that everyone could come and enjoy themselves. “We are hugely grateful to Signpost and its volunteers who support us every year at different events with setting up, clearing and car parking. We will continue to aim to make this annual community event more enjoyable as each year progresses. Thank you to colleagues, volunteers and the community who contributed to making this day a success.”.